Discussion in 'DOTA 2' started by Rofel, Sep 14, 2015. 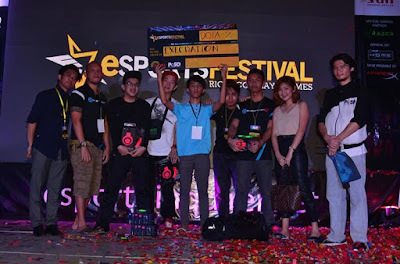 Cebu City, Philippines - The city where the Philippine Esports Organization is based in played host to the eSports Festival 2015. From August 21 to 23, Dota 2 players from all over the Philippines flocked to SM City Cebu to compete for a 100,000 PHP Dota 2 prize pool.